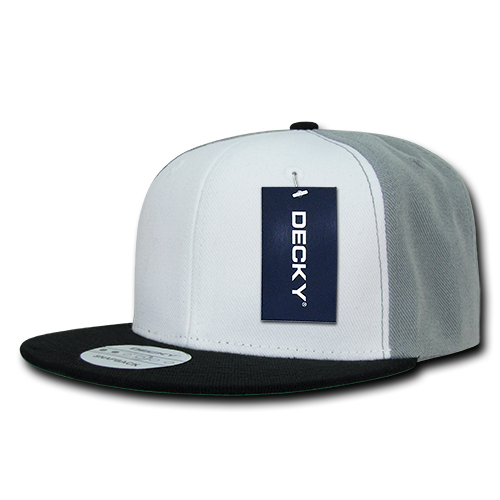 The promotional Three Tone Flat Peak Snapback is a sure winner for your upcoming promotion. Giving our promotional gifts are great ways to get word out about your business. They can also influence perception about your brand, that’s why selecting a promotional gift has to be given careful thought. 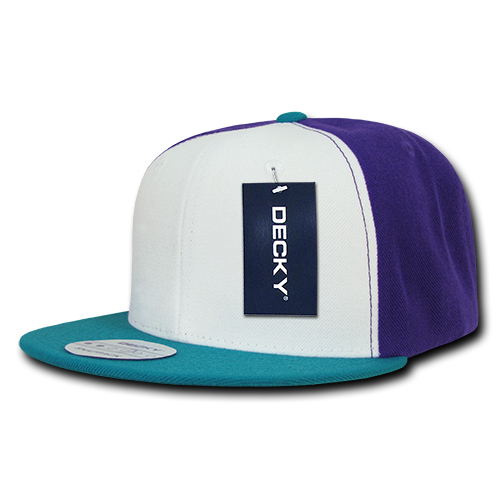 And for your consideration, we’d like to present to you the promotional Three Tone Flat Peak Snapback. 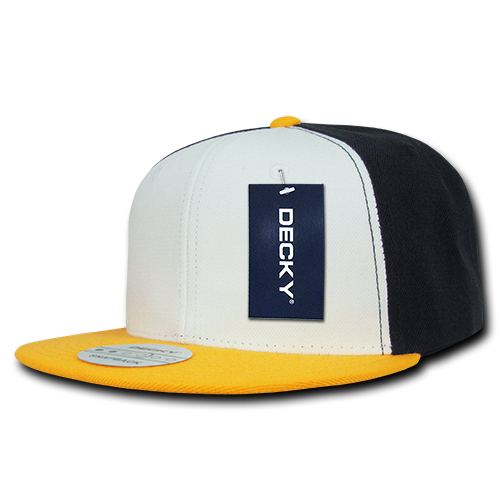 This awesome snapback cap is a great way to advertise your business during your marketing events, especially for those with activities out in the sun. The custom Three Tone Flat Peak Snapback comes in 5 different colour combinations, namely: black/gold, grey/black, navy/red, purple/gold, and purple/teal. Do note also that the front panel is always white for all colour variants. To ensure durability, we’ve made the personalised Three Tone Flat Peak Snapback from 100% cotton material. 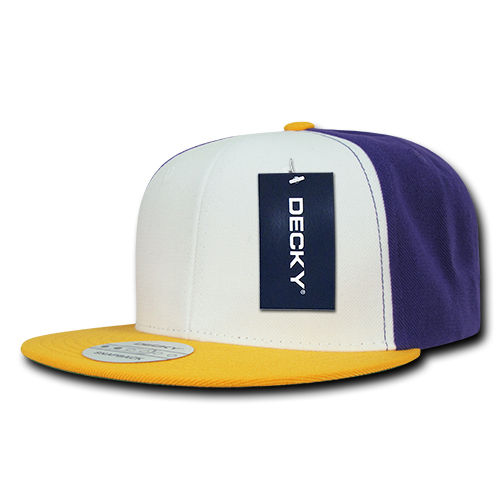 This makes this cap not just for pure good looks, but it’s also ready for real scenario active lifestyle. The peak is also meant to be flat, while the crown is high and deep. 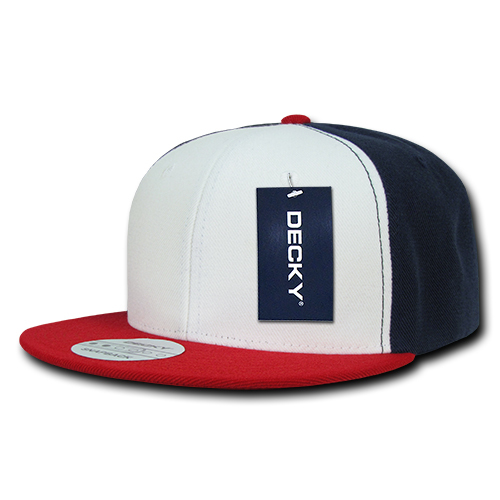 This gives the cap a little more attitude and personality. 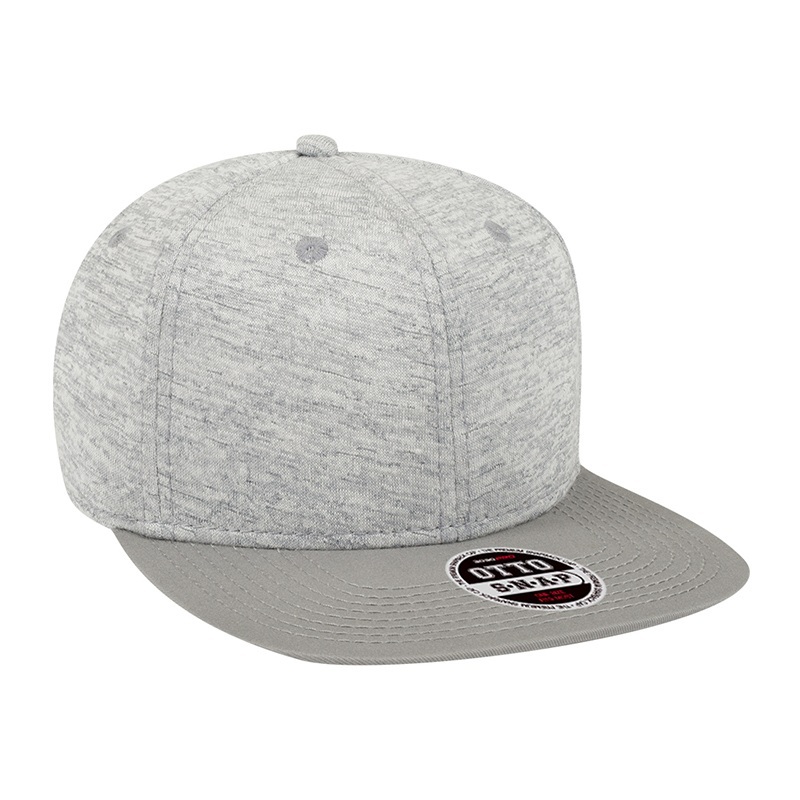 For promoting your brand, simply further personalise the branded Three Tone Flat Peak Snapback with your own design through embroidery and it’s ready to rock your marketing campaigns. 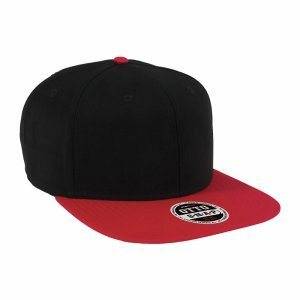 We have plenty more snapback caps for your promotional events. 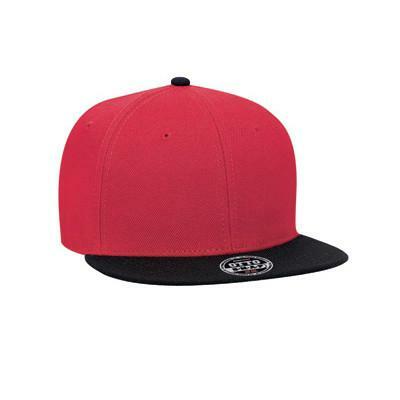 The promotional Ziger Solid Snapback is a perfect cap if you like something flamboyant. Or if it’s simplicity that counts, the custom Sandwich Brim Bucket Hat will certainly be a hit. Also check out our confectionery catalogue if you want to diversify your gift giving. We have the promotional Blue Big Chewy Fruits Individually Wrapped that you can consider for your upcoming events. We have our customer service representatives ready to attend to you in case you have any questions about our products and services. Call us through our hotline, 1300 008 300, or talk to us using our site’s on-board chat application.